ML Ranch Jewelry is inspired by the Fire and Ice that created the Snake River and Yellowstone area. We offer handmade Jewelry made in Idaho. ML Ranch Jewelry designs and make one of a kind jewelry. Never have to worry about going somewhere and seeing your jewelry in a different color from your jewelry. 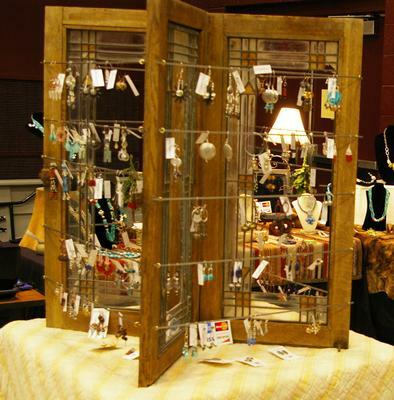 ML Ranch Jewelry offers classes to Private and Small Groups, Adults and Teens at your convenience. Classes available for stringing, seed beading, wire working, pearl knotting, and cabochons. ML Ranch Jewelry also will do Custom Jewelry to meet your needs. For booking information call (208)522-0680, or email at mlranchjewelry@q.com.